Nissan has a history of producing cars that defy categorization. I mean…. look no further than the Cube, Juke, Infiniti FX35, or even the old Figaro and Pao models (not sold in Canada, but worldwide favourites). This is a company that thinks outside the box, and now that they’re paired up with Renault, those boxes have all but disappeared. One of the newest out of the Infiniti stable is the QX70, which isn’t really that outrageous in terms of styling, layout, or powertrain, but is one of those vehicles that doesn’t fit neatly into any particular category. Is it an SUV? Sports hatchback? Crossover? In a word, yes. Officially, Infiniti is calling it a sports crossover. Replacing the FX50, the QX70 is powered by either a 390 horsepower, 5.0 litre V8, or Nissan’s tried-and-true VQ V6 engine, which, in this configuration, displaces 3.7 litres. My tester had the latter, and it develops an impressive 325 horsepower, which must be the most this company has ever gotten out of this engine without turbocharging. Transmission is a seven-speed automatic only and the QX70 has full-time all-wheel-drive. Like just about every Nissan I’ve ever driven featuring this engine, power transfer and refinement level is unimpeachable. Large displacement V6 engines simply don’t come any better….and that includes companies like Toyota and Mercedes, who are no slouches in the powertrain department. For what it’s worth, this engine – in one form or another – has taken home multi awards over the years, and in the QX70, it’s a surprisingly good fit. 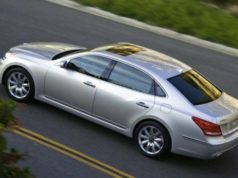 The all-wheel-drive system is Nissan’s ATTESA arrangement, which basically starts the vehicle off in AWD and then reverts back to 2WD as the vehicle gets moving. In the event of traction loss, the AWD cuts back in again as needed. This system is used throughout Nissan/Infiniti’s model line-up and it’s unobtrusive and efficient. At time of writing, my test QX70 was one of the first in Canada, and there seem to be three trim levels: Premium, Luxury Touring, and Technology. My tester had the latter two packages, which feature navi system, larger 20-inch wheels and tires (there are three sizes available), lane departure warning, intelligent cruise control, and rain sensing wipers, among other things. Altogether, these add $9150 to the price tag. Standard equipment, meanwhile, is high. For the $53,350 base price, you’ll get leather interior (quilted, no less), heated/cooled front seats, dual zone climate control, power rear liftgate, a decent-sized sunroof, XM satellite radio and on and on. The QX70 is definitely an upscale vehicle and feels like it. A word about the aforementioned (optional) lane departure warning. This feature, now common throughout the luxury/upscale car market, is a pain in the keester. Yes, you can disable it via a button located on the lower left dashboard, and I did so – repeatedly. I do not need a car to tell me when I’ve strayed into the next lane….and if I find myself doing so on a regular basis, then perhaps it’s time to reconsider driving altogether. If you forget to disable it, lane departure warning is like a whiny little voice nagging you ad nauseum. Arrrgghh. My other major beef with this one concerns storage/cargo capacity. In a nutshell, there ain’t much…..maybe 1750 litres. Considering the size of the QX70, stash-ability is minimal. I had to help someone move during my time with this one, and four large-ish house plants just about filled it up. And that was with the back seat folded. By way of comparison, the similarly priced Acura MDX offers a purported 2575 litres. And because of the body configuration, rear head and storage room is compromised….the hatchback opening is surprisingly small and big stuff just won’t fit. A bicycle, for example, is out of the question. If carrying cargo is on your list of must-haves, the QX70’s stablemate – the massive QX80 – may be the Infiniti for you. Performance-wise, the V6 version of the QX70 has some snap, but, at well over 1900 kilograms, this is a large vehicle, and its character with this powerplant is one of refinement, not eyeball-flattening takeoff power. Fuel economy-wise, there is a significant difference between the V8 and V6 models….especially in town. One note here; the QX70 has Infiniti’s downshift rev-matching as standard equipment, and in this situation, it’s an appropriate feature. If towing capacity is high on your list of prerequisites, the V8 version may be the best choice, even though, towing capacity interestingly, is the same for both models: 1587 kilograms. But that doesn’t help narrow this car’s identity down. Given its limited cargo-carrying abilities, it doesn‘t really qualify as an SUV….as we commonly think of one. 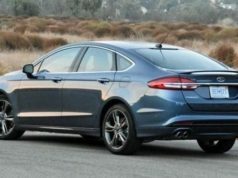 It’s too big and bulky to qualify as any kind of a sports hatchback/sedan, and is definitely not a mainstream crossover. With the exception of perhaps the BMW X6, there really isn’t much like it out there. Alternatives: Acura MDX, Lexus GX460, BMW X6, Mercedes G-Class, Audi Q7, Range Rover Evoque Premium, Jeep grand Cherokee SRT8, Porsche Cayenne. Ted Laturnus has been an automotive journalist since 1976. He has been named Canadian Automotive Journalist Of The Year twice and is past president of the Automotive Journalists Association of Canada (AJAC).